At Phoenix Hardwood Floors, our mission is to provide our clients with the highest quality product and professional service. We have over a decade worth of experience specializing in wood flooring in the Valley. We specialize in nearly every type of wood flooring including bamboo flooring, engineered flooring, laminate, floating flooring, solid hardwood, sanding and refinishing, buff and re-coat, gym flooring, and repairing. 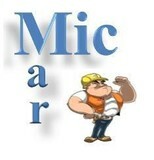 What ever the job is, we are confident we can help you find the best solution. We can work with architects, designers, and general contractors to help ensure that you will have the hardwood floor you dreamed of having. We only use the highest quality of products, and will never settle for anything less than perfect. 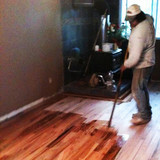 Our commitment is, "we guarantee you'll love your wood floor". We have dustless sanding equipment, and we want to make sure your experience is as pleasant as possible. We promise to keep our work area's clean, and you house as clean as possible. We will inform you with every step of the process, making sure it's as stress free as possible. We always strive to make sure your floor is done right the first time, so we carefully, and respectfully complete your job with perfection. We love wood floors, and it's what we are passionate about, so feel free to give us and call, we would be happy to answer any questions. Primera carries the widest selection of flooring, wall tile, cabinets, countertops and window treatments to choose from in our two valley showrooms, with expert designers available to assist you in making the right choice. Our customers benefit from purchasing power cost savings, save time as all the product selections and support are in one convenient location and less stress through the efficient processes used to deliver projects on time. Primera works with many types of customers with a variety of needs and varying projects sizes. Dedicated to providing customer-focused and highly-skilled teams, Primera is ready to deliver your interior vision. From design inception to installation and completion after-care, Primera will support you at all stages to ensure the success of your project. Primera interiors install and provides quality, integrated interior products, including flooring, cabinets, countertops, and window treatments at a great value to a wide assortment of residential and commercial customers. *Authorized Mohawk Dealer* Licensed Contractor serving Arizona since 1993. 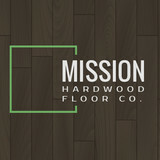 We specialize in flooring and related design products. We work with Architects, Designers, General Contractors, Investors, and Home Owners to help choose products for residential or commercial use. As a family owned business we take special interest in every individual's needs to ensure the best product choice and service. We take pride in the value we place on personal relationships we have built and continue to build every day. What kinds of services do hardwood flooring installation professionals in Scottsdale, AZ provide? 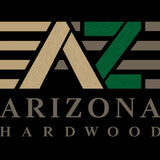 Find hardwood floor experts in Scottsdale, AZ on Houzz. Search the Professionals section for Scottsdale, AZ hardwood flooring installers and dealers or browse Scottsdale, AZ photos of completed installations and look for the professional’s contact information.